The above title might sound strange, but it’s a tip unto itself, and one that if followed correctly can actually make the “tough” easy. My workout today was a repeat of yesterday’s routine i.e. 250 squats and 250 pushups, but it was DIFFERENT. This took about 8-8.5 minutes, and then I was on to the pushups. Those took me around 45 minutes today, so I was done in less than an hour (about 60 minutes all in all including stretches at the end of my routine). And – I am – to put it in one word, STOKED! Now, as for the tough with the easy. What I did for the squats is I did say “X” number of “jumping squats” and then did double that number for the regular ones. As I progressed, it wasn’t exactly double all the way through – so it might look something like 25 jumping squats, 36 regulars, but you get the drift. And, I finished in less than 8.5 minutes – pretty good going! I could have progressed on to 500, of course, but I don’t do that many daily. In fact, as of the last two months I’ve just been doing 50-100 daily. Changing it up a bit now, so I get more of the squats in, but whatever. As for the pushups, I do the same thing. If you can get only, say, 2-3 reps of a REAL TOUGHIE, then do at least 15 reps of the same exercise in an easier way (or just do an easier exercise). After that, return to the toughie, and you’ll be surprised when you see you can actually do a bit more of it than you could do the first time around. Try this little tip, and let me know how it works for those of you stuck at a certain “number” of reps! Well, that is quite literally what happened today as I just finished another volume of a book I’ve been working on. Not quite fitness related to say the least, but thats beside the point. On that note, it’s not quite the “ball and chain” it sounds like, as I was very willingly doing it. Writing is something as you can tell I enjoy doing which explains the numerous “pieces” of written in the past. But thats not the point either. The point being, the second part of the title. In other words, the “240/7” workout, or should I say 24/7 workout, hehe, since I never miss an opportunity to get a work out in despite the “chains”. In and as of itself, there’s a lesson in that. What’s that, you might ask. Well, most people these days are chained – and yes – it’s of their own choosing, but again they’re not chained to “what you might imagine”. The vast majority of people that spend a lot of time complaining about their fitness, are, curiously enough those same people who never quite break from the “shackles”, or “excuses” if I may put it that way. A lot of folks that set goals fail to move beyond the “set” stage, giving up before they even begin. In other words, chained to the “failure syndrome”. Now, I could go on and on and on here, but I think you get the picture. Look, fellas, rewards in life come to those who DO. Ladies, if thats you reading this, DO. Do, and you shall “feel the power”, kiddo! What did I do? Well, 240 squats and 250 pushups, but I never did keep track of time while doing them. And I finished within – get this – 60 minutes flat – WITHOUT keeping track of time! As for the zoned out feeling, I’m pretty sure regular readers can guess as to the reason why. Yep, you got it. 150 reps of my all time favorite exercise, and I’m “a floating like a daisy in the clouds up yonder”, hehe. And that, my dear reader is that for today. My forearms feel like they have been through the meat grinder, so I will end this here. P.S. #3 – If you’re one of those that actually DOES – well – a huge SALUTE out to you! The “low ‘n slow” routine! The low and slow routine that actually turned into the “fast gear workout”, if I may put it that way. Sounds cryptic, I know. What do I mean?? Well, I’ll explain! Today was a HO HUM day for me. I dont know if thats because I’ve been hitting it hard in terms of my writing for the past three days (and nights) or if it’s something else, but whatever it was, I just couldn’t “get into the groove today” (and I’m NOT referring to my workout here). One of those “slow” days, and so I figured I’d do a “slow mo” workout today WITHOUT worrying about either reps/time. I felt I’d hit about a 100 pushups and call it a day. That’s more than what most people do in a WEEK, or month, by the way – and NO, thats NOT an exaggeration by ANY stretch of the imagination, folks. And so, I started off with about 50 squats. Felt the “energy” starting to pick up, but not quite (normally this gets me going INSTANTLY). Funny thing is I did them in less than 40 seconds, so it wasn’t that I took a long time. Got to about 20 Hindus. Whoa! Now, I REALLY felt myself starting to pick up. 20 “table” pushups. More of the same! And so forth. It was actually the “15-20 rep” workout for the first 100 pushups and then suddenly, inexplicably, it turned into the “40-40-20” routine before I slowed down again towards the end. Took about 40 minutes, and I feel.. Wait a minute – I said it took 40 minutes – and yes I typed that right! It took LESS the amount of time than my regular workout does – NOT a LOT less, but a good 7 to 8 minutes shaved off. Granted, I didnt stretch towards the end, so that takes about 5 minutes off it, but still – thats pretty good I’d say! As for how I feel – I BE BUZZZZZZINNGGG!! I’m ready to take on the world, and that’s NOT an understatement. I’ve often said this and I’ll say it again – pushups, pushups, and MORE pushups. One of the oldest, yet amazingly enough MOST ignored exercise there is, and the VERY BEST. In fact I’m so buzzed I think I’ll do up an article on pushups shortly here. Stay tuned for that one. For now though, there’s several tips in todays note. Go back and read it again if you haven’t been able to figure ’em out as yet – and NO, I’m NOT going to “spoonfeed” them. Key reason I’m telling you all this is to get off your keister, and DO something – even when your not feeling good. Let’s face it – there are always days we don’t feel a 100% – but that doesnt mean we make excuses. Do something – anything – and before you know it, that “anything” will turn into something quite substantial. And if that doesnt convince you to get off “thy keister” and “DO”, then I dont know what will! Well, let me back up a little. Some of you (and especially those of you that have seen my videos) know that I’m currently working out in a semi-air conditioned environment, if just to test how much I sweat WITH air conditioning as opposed to without. And the very fact that I sweat up a storm daily should tell you just how efficient these workouts at – and how much FAT they burn, my friend. I decided to do the opposite today i.e. turn off the air conditioning and work out – but I didnt just turn off the A/C “right before” working out. NO. What I did was turn it off a couple of hours before working out, and while that might not sound like a biggie, trust me, it IS. Its humid as heck out here in China (not to mention the actual HEAT – but the humidity is what really “gets” you if you get my drift, hehe) and my living room heated up pretty soon. Not quite “sauna” levels, but certainly not a room that you walk into and feel “cool”. I sweated up quite the storm, to say the least. The puddles of sweat will dry pretty soon now that the A/C is back on, but what I want to say, and what I say in my book is that HEAT (and humidity) is something that some of you might need to watch out for while training. Now, I used to train OUTDOORS a month or so ago, and have actually done that for the vast majority of my training career. And don’t get me wrong, it got me into great, great shape. At one point I was climbing a steep mountain which took about 15-20 minutes to climb and pounding out 500 squats and 250 pushups AFTER that. IN THE SUMMER, no less, though I used to train in a shaded area. However, while the results have NOT changed an iota once I switched my routine indoors (other than the time, obviously) – the “look” I’ve gotten has. By look I don’t mean “ripped abs”, or “biceps as big as stones”, or “striated pecs” or any of that utter rubbish. What I should really say is how I FEEL – and this manifests itself in the “external look”. This might sound strange to some, but believe me, the key to REALLY LOOKING GREAT is to FEEL GREAT – from the INSIDE OUT! Feel like a billion bucks and the rest will take care of itself, my dear reader. Conversely, if you look “great” but feel like crap internally, the opposite will happen. When I trained outdoors, I still felt great afterwards – but, I felt a bit drained at the end of it. Right now, I feel as energized as ever – and MORE SO! My point in saying this is that extreme heat and humidity should be avoided when training – UNLESS – and this is a huge unless – you’ve been doing these routines for a long time and your body is used to it. Even so though, its always good to bear in mind that the humidity does affect you regardless of what level your at. It’s a lot easier to pound out a 100 continuous “wrestler pushups”, for instance, when your doing them in a cool environment as opposed to a hot and humid environment. My own reps didnt go down any though – but – and here’s the kicker – the TIME did. I actually 5 minutes earlier than I normally do. So thats today’s tip. Time to put on my glasses (which I took off during the workout) and get back to pounding out that new book, hehe. Speaking of books – if you haven’t already gotten 0 Excuses Fitness – well – procrastinate NO longer – The Book. P.S. – I normally wear glasses during my workout as it helps me maintain focus. There’s another tip, fellas. Approach your workout as you WOULD anything serious – and ANYTHING that requires focus! It’s 5:56 P.M. in China at the time of writing this. Sounds like today’s topic is actually 2 topics in one, and it might well be – but it’s not. Anyway lets just say first off that its YET another GREAT workout in the books. Did the “25 pushup” routine today (which I believe I do detail in the book as opposed to what I did yesterday) plus 125 squats. I ended with 50 reps of my favorite exercise, plus some ADVANCED stretches – stuff that scares the “bejesus” out of the majority of folks when they look at me doing it, and that’s NOT an exaggeration! I’ll be coming out with an “advanced” version of the fitness book soon, but to be quite frank, what I mention in the “basic” course is MORE THAN ENOUGH for the VAST majority of folks to work upon for a lifetime. See the section on “mastery” (one amongst many): – https://0excusesfitness.com/the-book/. I feel great – and guess what – this great feeling will last ALL EVENING. In fact I slept around 6 hours last night. So “pumped” was I after session #2 last night that I had to literally force myself to sleep if you can believe that. In short, another BALL BUSTER – and guess what – it got done within 50 minutes FLAT. That’s including rest periods, by the way, but NOT “long” rest periods. See my videos here for more on the rest periods (https://0excusesfitness.com/videos/), but for now, that brings me to topic #2, and thats time wasting. My own workouts are short and sweet as you can tell. In fact, I can get a great workout in less than 20 minutes if I so choose – all without leaving the relative privacy and “sanctity” (or should I say sanity, hehe) of my own home. And if there’s something I hate more than procrastination, it’s wasting time. Why? Well, though procrastination is to be avoided and SHOULD be avoided for that matter, “tis” but natural for even the most disciplined amongst enough to “slack off” every so often. And like I mentioned in yesterday’s post (or was that the day before?) “yours truly” sometimes DOES need a gentle push or a kick up the arse to “get her done”. Hey, what can I say – I’m human too – but I’ll say that those times are literally FAR AND FEW IN BETWEEN for me. Such is NOT the case with the vast majority of folks out there. “Oh, I might”. “Oh, maybe”. “Oh, I’ll let you know” (and they never do). And so, I’m deeply appreciative when I meet people that DO actually value other people’s time and say it like it is WITHOUT wasting time! I don’t care if said person is a customer, or a potential customer, or will never be a customer. I care not, amigo. What matters is RESPECT. Respect for the other person’s time, and by extension the other person. And so – thank you, Madam “S”. Thanks for not wasting time, and being about as honest (though not “brutally so” as I am, hehe) as I am – I am deeply appreciative. “Mucho” respect sent your way! You may or may not ever be a customer, and quite frankly I don’t care either way. But, I’ll be happy to offer you a free training session if you so choose someday! And that, my friends, is what it ALL boils down to, both in life and training wise. Don’t waste time – either yours or the other person’s. Respect time – the other person’s time, and YOUR own time as well. Above all, recognize that we are ALL human. Treat every human being you come across with decency and respect, at least to the best extent possible. And there endeth today’s rather long “sermon” from Preacher General “Mookerjee”, hehe. P.S. : – For those of you that have or are considering signing up for the newsletter, please DO so – but please know that it might take me a post or so (read a few days) to actually get the newsletter function to work as it should. As of now it seems to have a few glitches, and I don’t have the time to figure it out AT THIS POINT in time but it should all work flawlessly within a few days. In the meantime, keep checking back HERE for new updates and of course – new PRODUCTS! The vast majority of folks are in a state of complete and utter denial about their current fitness levels. Not only that, but a lot of folks tend to get “defensive” about it when asked. “I’m a big guy” (a commonly heard statement from guys that are actually FAT rather than plain “big). And of course, in addition to that, out pour the excuses as we’ve spoken about before. “Mmmhmm, yes, pushups are easy” (this from someone who couldn’t do more than – get this – THREE in proper form). And how do I know this? Well, I used to be the same way in the past (although NEVER at the levels mentioned above), and though I’m in the best shape of my life at the time of writing this and improving all the time, I STILL need a “self-kick” up the backside once in a while when I start to get that tad bit lazy. Not often, but it happens at times. Curiously enough though a lot of women have the opposite problem i.e. a lot of women that are “in shape” (at least externally) think they’re “fat”. I’m sure THAT one needs no further explanations! Of course, “being in shape externally” doesn’t matter ONE BIT if your not truly fit – and of course, if your not INTERNALLY healthy. That last bit counts the most, by the way. Most folks would measure their fitness by “medically acceptable” standards, some of which I agree with, and some of which I believe are utter TOSH. BMI indexes being one. Take a truly BIG (as opposed to FAT) person, and you’ll see them being classified as obese when they’re not. Neither are skinfold tests an accurate measurement of fitness levels. I’ve seen drug addicts that are skinny as a rail – does that mean they’re the epitome of fitness? Now, obviously the above tests are a general indicator in most cases, but you’d be far better off testing what your body can actually DO – as opposed to what you “look like” or what the “skinfold” test tells you. BUT, I’m NOT going to give you that test here. In fact, the test I’m fixing to give does NOT involve a single pushup. Well, simple. 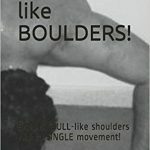 Get into a position where you make a “table” with your arms and legs, back completely straight, head held back. This is the beginning position of the “table” pushup, by the way, but in THIS test, you do NOT need to do the actual pushup. JUST HOLD FOR TIME. Shoot for about a minute, and then report back – especially those of you that ARE overweight but try to”convince” yourself otherwise that your not (and you know who you are, hehe). Heck, just shoot for a 30 second hold and THEN tell me – and by the way, you “skinny” folks aren’t off the hook either – this test is for YOU TOO! How dare I say this, I hear a lot of readers fuming. Well, fume away, my friend, but I’m not “saying anything”. You DO – and tell me how well you can DO IT. I remember a time in my life where I could barely hold the position for – get this – more than TEN SECONDS – without my lower back giving up. You read that right – TEN SECONDS. Today, I could almost go to sleep in this position. Give this a whirl and let me know how well you do! Well, well, well. Just got done with a BALL BUSTER of a workout. Tough, tough, tough, and despite the AIR-CON on at FULL blast, I’m sweating like a fat man at a dance, hehe. This post kind of “wrote” itself while I was training. Those that have been following my writings and have bought my books know what exactly that means. Those that haven’t – well – get on the STICK! This is a great, great feeling, my friend. Work doesnt seem like work. Things just effortlessly flow for lack of a better term. And NO, exercise is NOT the only reason for this, but one of the MAIN ones. 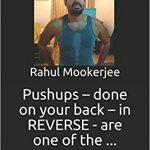 Now, as for what I did, lets say 350 pushups – except that was ONE part of the routine. And some of those pushups weren’t even what most folks would consider pushups. And it took less than 50 minutes. 48: something, if I’ve got it right. Most folks would be hard pressed to follow along with me for TEN minutes, let alone more than that. The lady who took the videos for me, for instance, couldn’t do ONE rep of some of the exercises I teach, and she’s in pretty good shape to start with. But at least she tried, and thats the point of today’s post. Ah yes, Madam “F” and “D”. Let’s start with “F” first, and NOT because it’s “f for first”, haha. Before I start though, let me make it clear that I don’t a) “know” these women “for years” and b) both are business contacts that contacted me for a reason completely other than fitness. Neither are my current customers, though I might be training A soon. Then again, I might not. All depends. Anyhow, so F is curious about my routine and asks me. I tell her. Pretty much the same thing I tell y’all in my posts, and pretty much the same darn thing I say in my book. All “from the heart”, and all brutally honest and unfiltered. THE REAL SCOOP, some might call it. And her response was typical of most people that give up even before they start. “Oh, I have no time”. “Oh, I couldn’t do this”. “Oh, work is a priority”. “Oh, I like nothing better than to collapse on the couch after a hard day and do NOTHING”. And ALL the statements above are true, and probably the last one as well. I addressed the issue of not being lazy in a prior post. Scroll back if your not aware of that, and READ it. I address this issue in depth in my book as well. Look, fellas (and ladies) – there is no way you’ll get ANYWHERE if you don’t “get off your duff” and actually DO something. Something. Anything. But DO something. Emerson once said, “Do the thing and you’ll have the power”. There is great wisdom in the words. Way too many people wimp out before they even start, and give in to their inner laziness. As the Chinese say, “You can lead a horse to water, but you cannot make it drink”. On that note, on to Madam “D”. This woman is looking for better ways to get – and STAY fit. I told her the same thing I told the above lady, and while her initial response was somewhat similar, her responses after that were not. She asked me what my definition of “fit” was. She was pretty honest about the fact that she couldn’t hold a bridge for more than 10 seconds. And you know what, fella? THAT is what I want. THAT is exactly what I’m looking for. Someone that is HONEST about their current situation, but MORE IMPORTANTLY, someone that at least tries – and someone that’s at least OPEN to learning new things! That last bit about being OPEN is KEY! Hell, at least she knows what “holding a bridge” refers to. Lady “E” (one who I will refer to in a future post) said she did when I asked her, but ended up sending me a picture of the London bridge to reference what I was referring to. Laugh all you like, folks, but it’s true. And there you have it. TRY. START SOMEPLACE. Try not to make excuses every time you have a goal. You’ll find this moves mountains quicker than you ever imagined (and heavier than you thought possible). Well, it’s official. I think I’ve officially gone crazy. Seems it’s the relaxed mood from all the work I did earlier, or perhaps it’s just more of the “benevolence” I was talking about earlier, hehe. But whatever it is, I’ve done gone nuts. On a side note, if you’ve been trying to access the server for the past hour or so, you probably noticed it was down. My apologies – the tech “gremlins” were hard at work updating patches and all that, but all should be back to normal now. And so, since I’ve officially gone nuts, here is the “90% OFF offer”. That’s right – you get my FLAGSHIP book – but you get it for a mere $2.60 as opposed to the regular $25.99 price! Less than the price of a Micky D’s set meal (which you shouldn’t be eating anyway). Less than a six pack of beer. Less than what you spend in one day on ESSENTIALS, if you think about it. Jump on this offer now, my friend. I’m not sure when I’ll be in this sort of a mood again, but then again, given the fact that I actually devised a new workout routine based upon what I did today, probably a lot from here on in. GOOD times ahead – stay tuned! Oh, I almost forgot to mention. The way you can avail of this special offer is by typing in the coupon code “AMINUTS” (without quotes) in the little box that should show right underneath the shopping cart. That should be all you need to do. 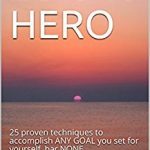 And – here is the link again – https://0excusesfitness.com/the-book/. All for now – happy reading! P.S. – Oh, and by the way, this “special” is only valid until this Sunday i.e. August 27, 2017. P.P.S. 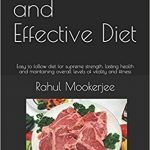 – A lot of my other self books are available right HERE as well: – http://amazon.com/author/rahulmookerjee. Check it out! Am I RELLLLAXED or what! I’m RELAXED – as in ZONED out x 100. As in, so relaxed a war could break out right outside my front window and I’d probably watch on in a “benevolent” mood. That, or attempt to mediate, hehe. To put it another way, I think I know a little something about the “state of relaxation” that Bodhidharam was said to have achieved by meditating for years in his cave. To say thats a stretch would be putting it mildly, of course, but you get my drift. And yet, I’m sweating. My entire back is soaked, and it didnt feel that way when I was finishing what I like to call the “2 pushup” workout. What did I do? Well, simple. My “favorite” exercise and the “table” pushup for reps until I reached 200. In sets 25, to be precise. My forearms, traps and lower back feel like they’ve been through the GRINDER – but in a good way – at least for now, haha. I’m sure I’ll feel them more later. Anyway, since I’m in such a “benevolent” mood right now, I’ve decided to run a special offer on my site for my main product “0 Excuses Fitness”. Stay tuned for that one – you’ll think I “done” gone crazy when you see it! P.S. : – The book doesnt talk much about Bodhidharma, but I bet he thought highly of deep breathing. And I do as well: – https://0excusesfitness.com/the-book/. P.S #2: – Did I forget – my ABS are starting to SCREAM! And I didnt even workout today – well – not until NOW, at any rate. Haven’t eaten, slept at 4 AM last night (after I got done working upon “The Simple and Effective Diet”) and just got done with a new POWER PACKED manual “The 10 Commandments of Successful Sales”. Yes, it’s not fitness related, but I feel so positive about this that I’m going to post this here. I KNOW this WILL help many of you out. P.S: – THAT is what staying in the zone refers to – when effort feels like anything BUT!